Fees: Individuals £65, Couples £75. 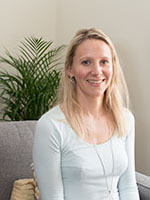 I am a qualified psychotherapist and counsellor with over 10 years of experience. Alongside my private work in Reading I also work as a psychotherapist for a large public sector organisation and teach psychotherapy at a further education college. Previous to this I have worked for the NHS, within a school, and for the Maudsley Hospital. I am also a qualified mindfulness teacher and incorporate this approach into work with adults and couples. I have extensive expertise in trauma and deliver Trauma-Focused CBT (Cognitive Behavioural Therapy) where appropriate. I work with adults, couples and adolescents, and offer both short and longer term therapy. I am UKCP accredited and am in continuous professional supervision. I offer short term and long term counselling and psychotherapy for adults, adolescents, and couples. I also run mindfulness groups and incorporate mindfulness-based approaches in my work. I have specialist training in trauma support, both for one-off incidents and longer term cumulative trauma. I am fluent in French and can offer sessions in this language. I also offer therapy over Skype or FaceTime. My approach is integrative, which means that I use different theories depending on what will best meet the needs of my clients. I draw on the main psychotherapy traditions, including psychodynamic (which recognises the importance of the early years and people’s formative relationships), humanistic (helping clients recognise their strength and creativity), body-based (looking at the physical basis of emotion, experience, growth and change, including what neuroscience and attachment studies have taught us in recent years), and transpersonal (addressing spiritual concerns and questions of existence). My work with clients centres on improving their relationships with others, themselves, and with life in general. I am interested in individuals’ formative experiences, not as a way of dwelling on the past but as a means of better understanding who they are today, so as to make healthier choices going forward. Therapy can be both about a specific problem or concern, or to address a more general sense of unease or difficulty in relationship. I am a firm believer in psychotherapy and its potential for bringing out change in peoples’ lives. I am consistently struck by how much people can grow, when given the right support, and enjoy witnessing clients become more connected to themselves and to people around them. Attention to one’s past is vital, not to dwell on but to make important connections between past experiences and present behaviour. This tends to help people find new ways of being and relating to others. I use the full spectrum of clients’ thoughts, feelings, behaviour and physical sensations to help this process of self-reflection. I also consider that it takes courage to have therapy, and so I endeavour to make the therapeutic relationship as secure as possible. Lisa Bruton is not accepting new clients for the foreseeable future. To be connected to an available therapist please use the Appointment Enquiry form.